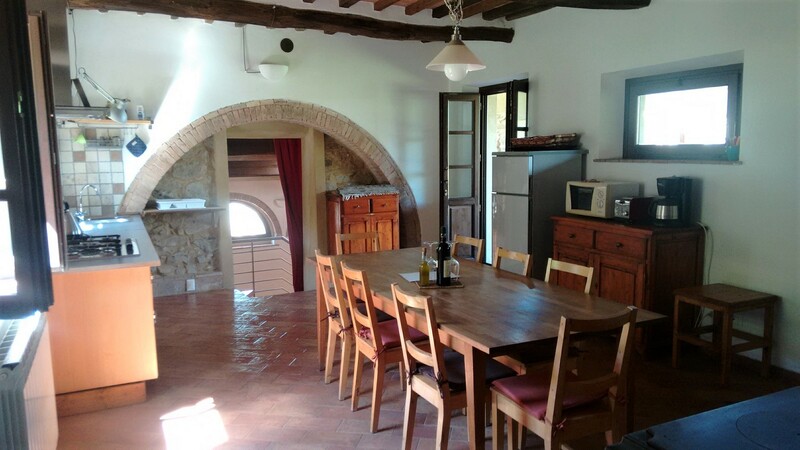 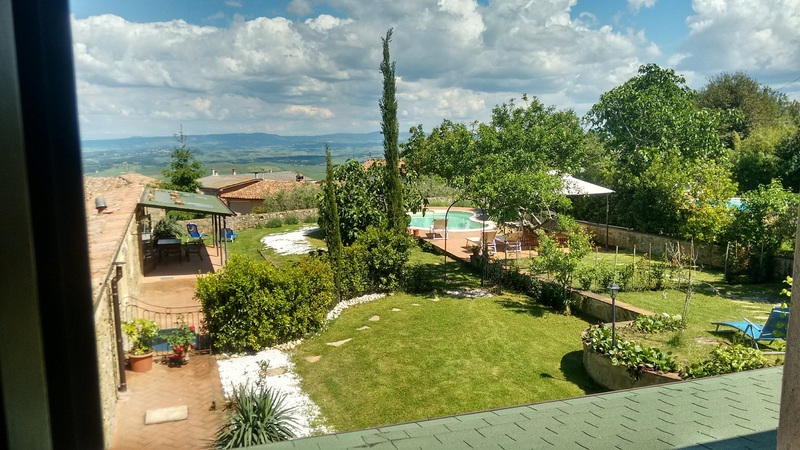 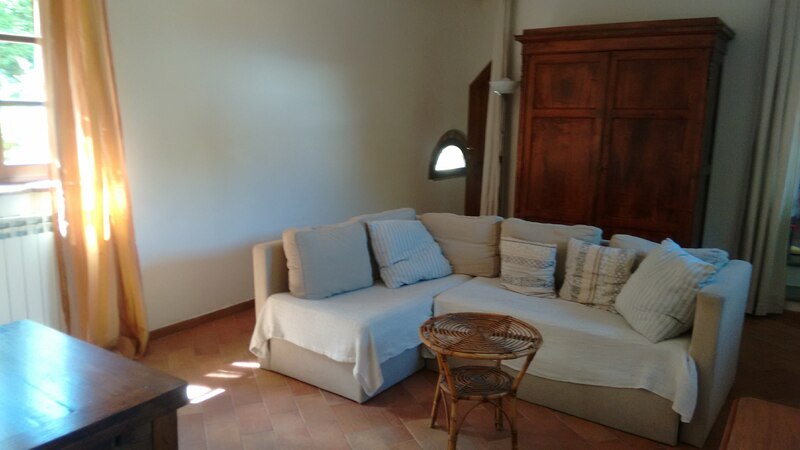 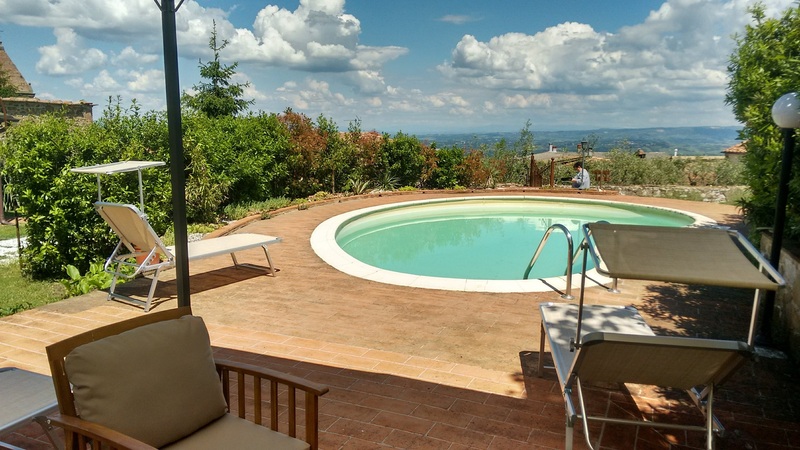 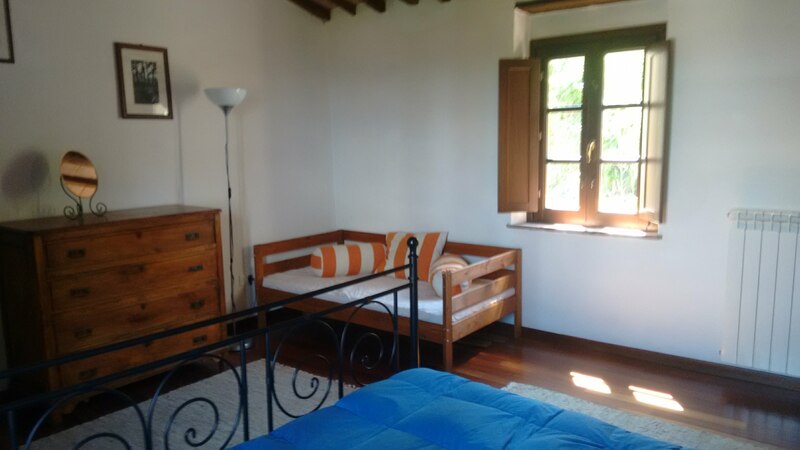 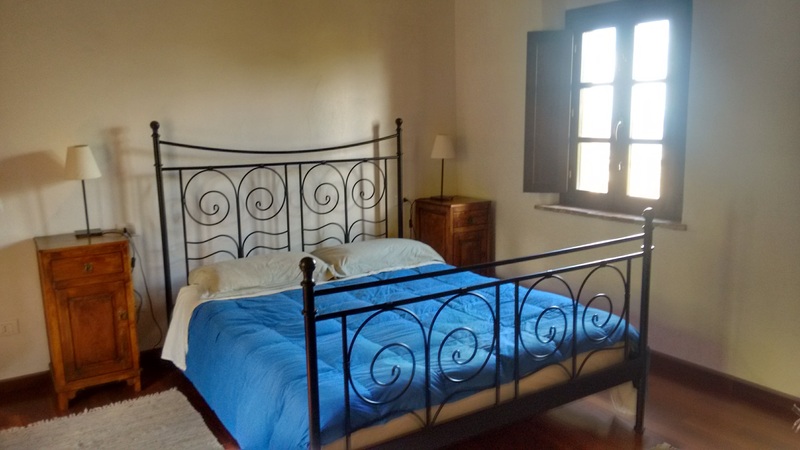 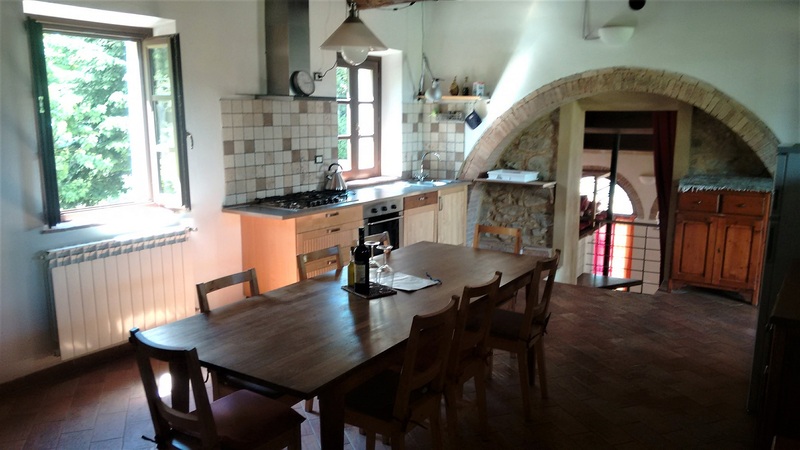 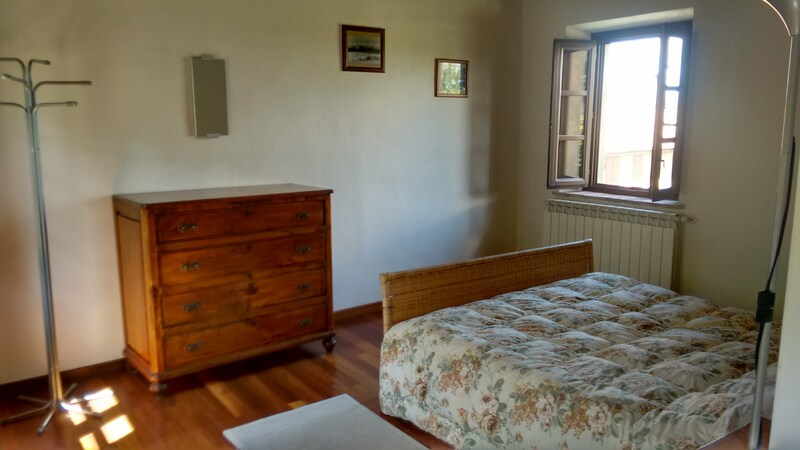 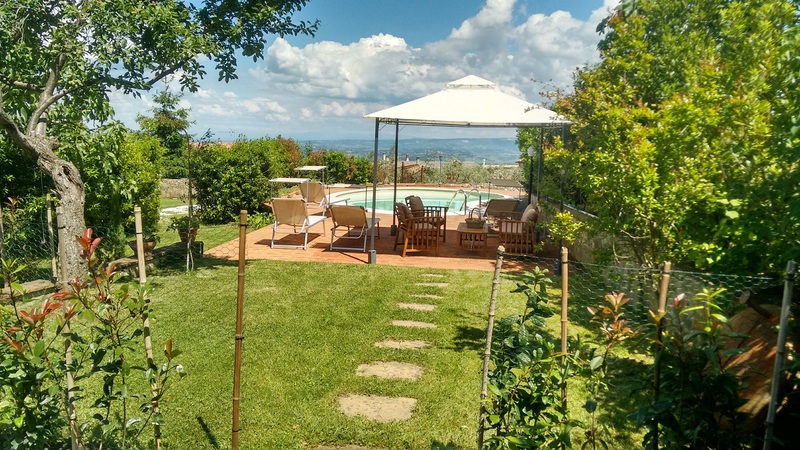 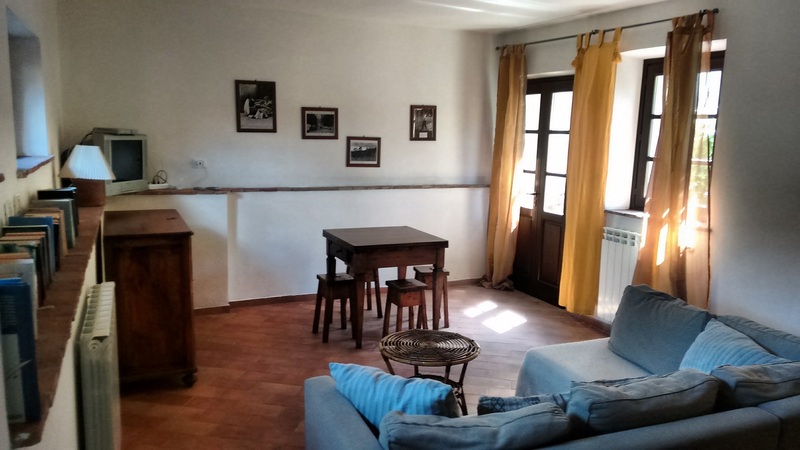 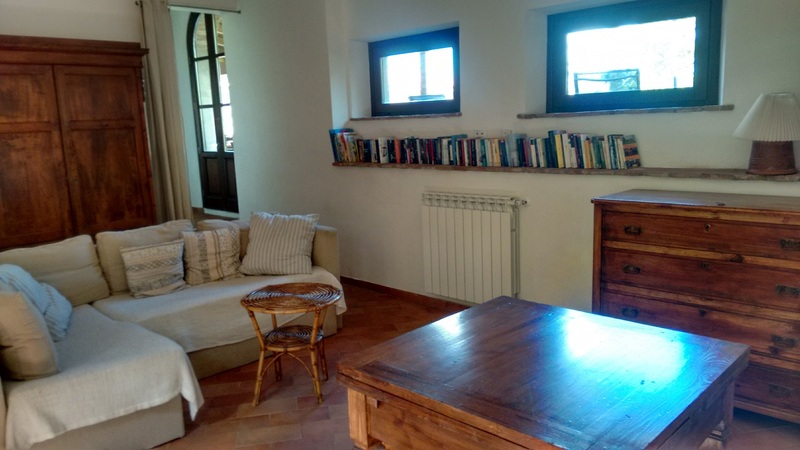 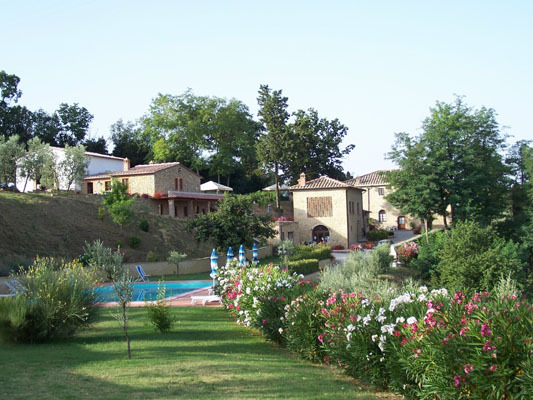 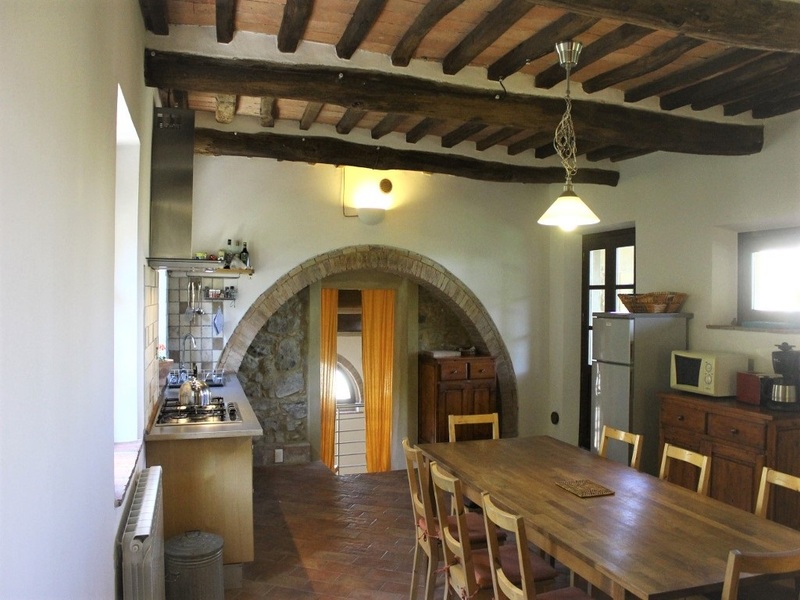 Villa Campo is situated in a big, fenced property with look over the roofs of the village and the Tuscan landscape. 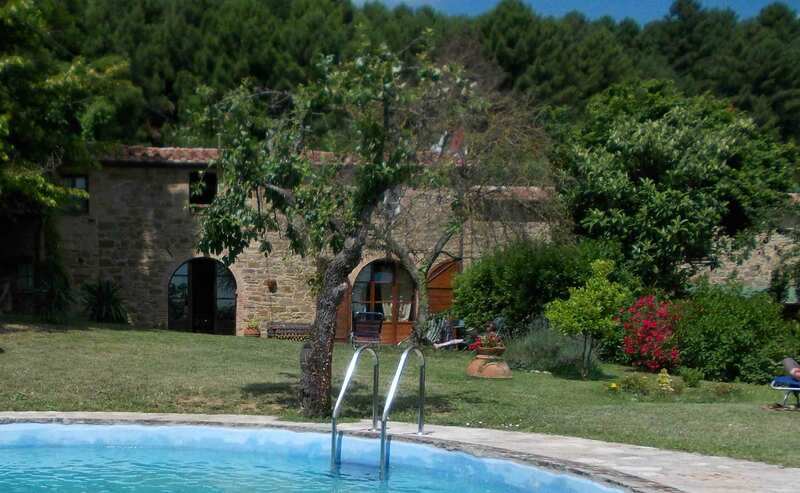 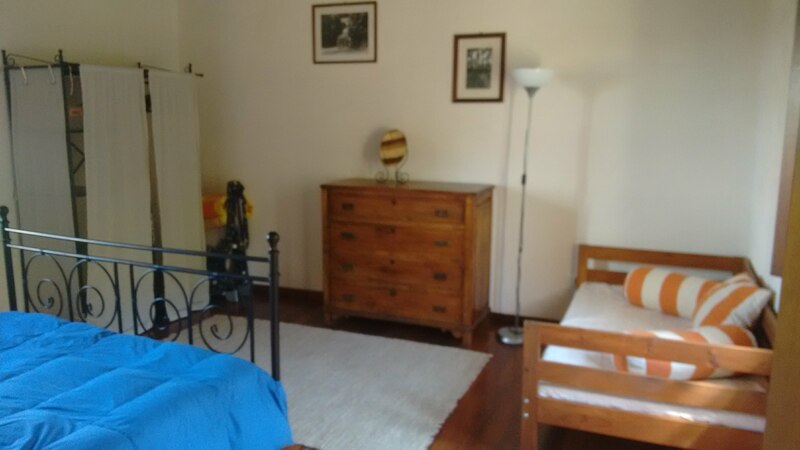 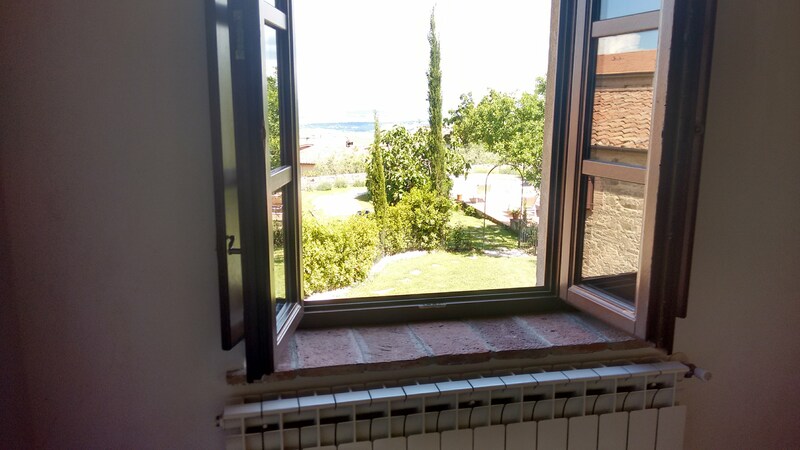 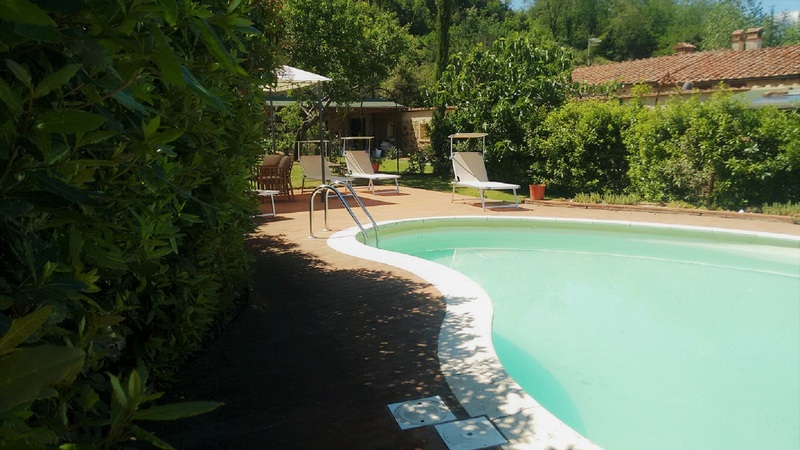 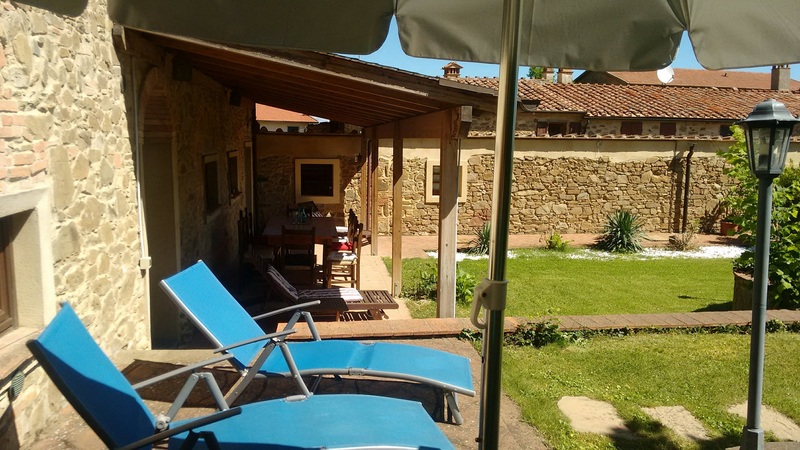 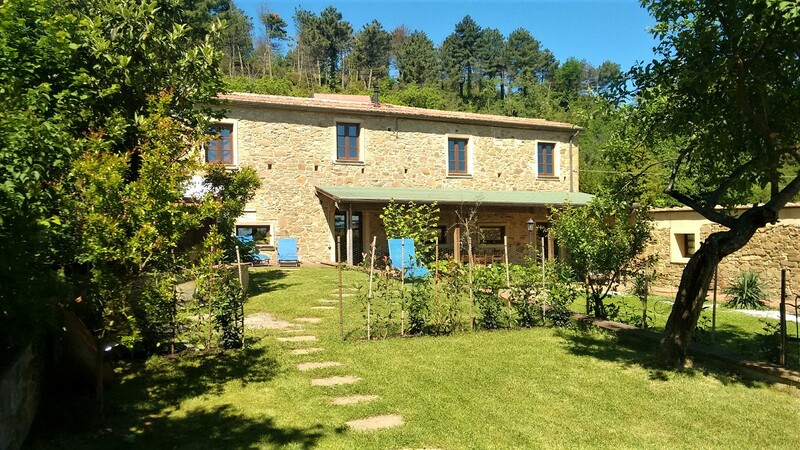 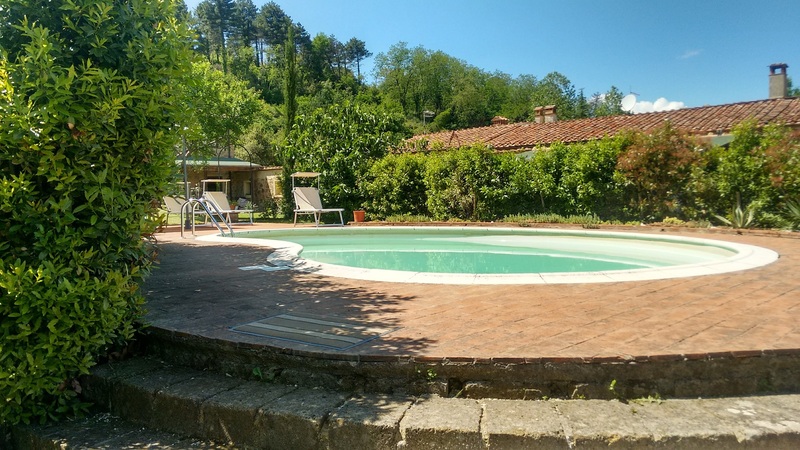 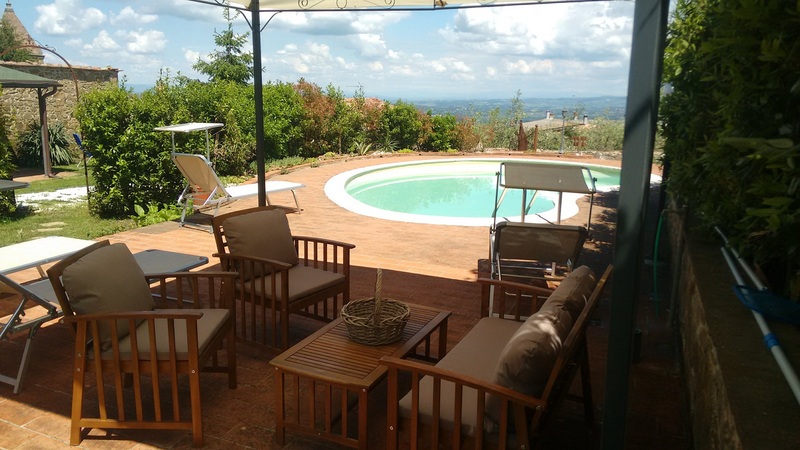 The property offers a beautiful garden with shady places under the old fruit-trees, the veranda with dining table and chairs, swimming pool (4x9 m sharde with an attached vacation house for 4 people ) with sunterrace, beachchairs and outside shower as well as a fantastic panorama over the Tuscan hills. 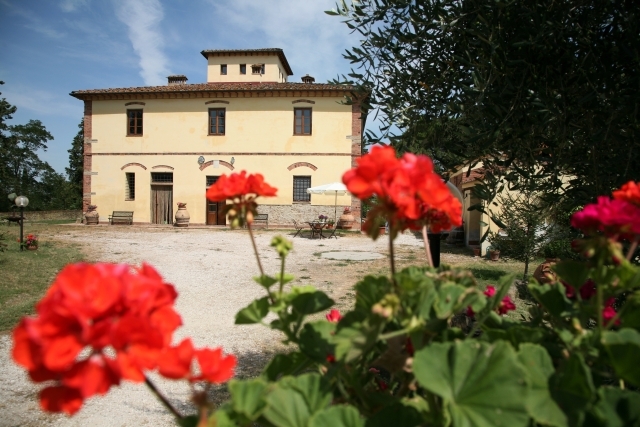 The property is entirely fenced and protected by an iron gate. 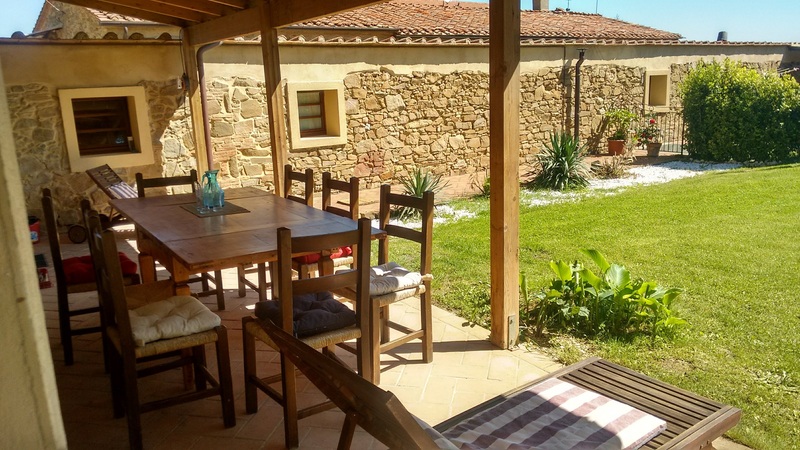 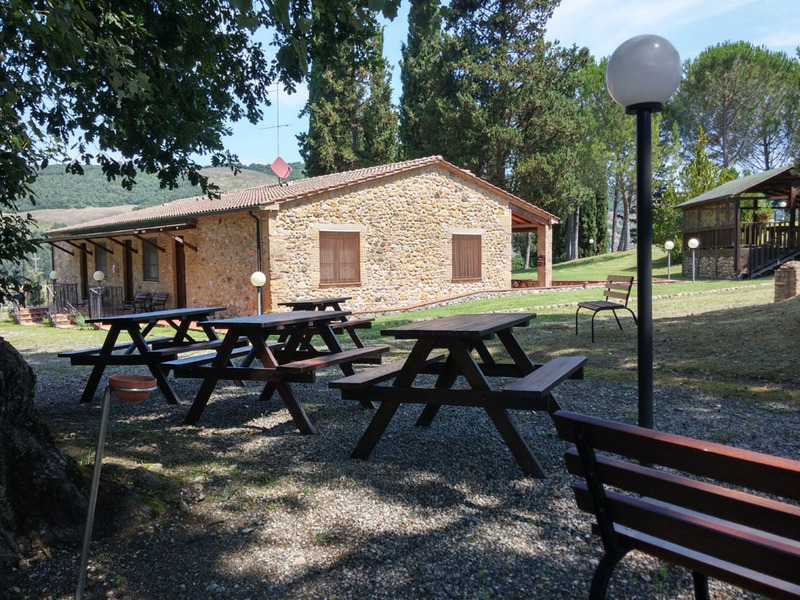 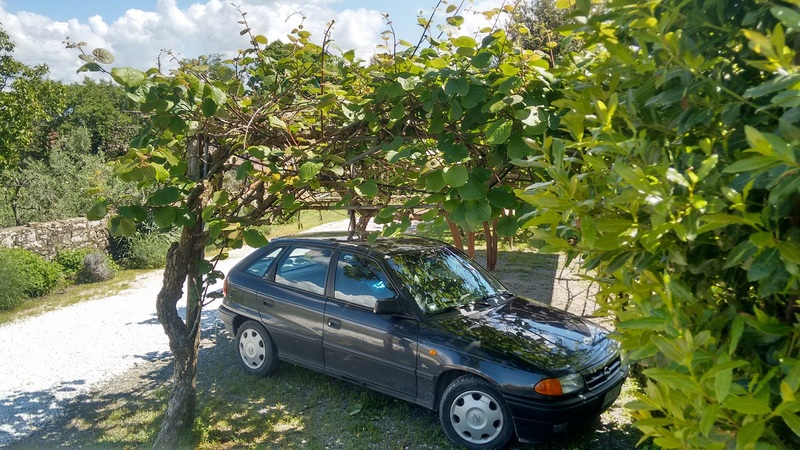 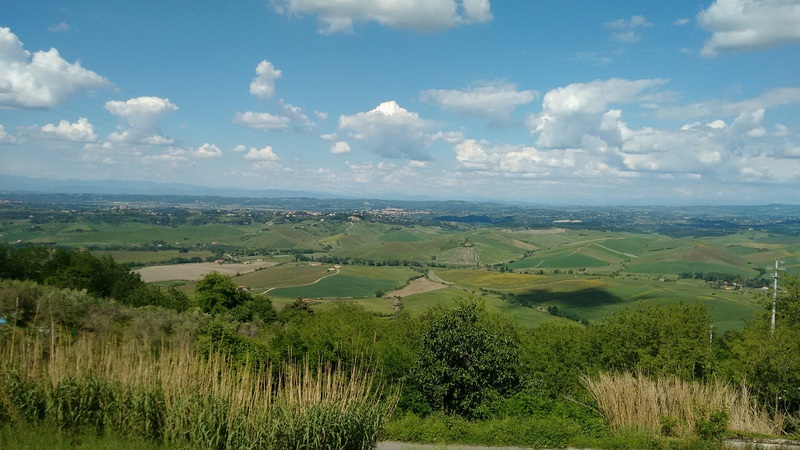 The picturesque, a little bit sleepy village of Rivalto with bar and grocer's shop lies at 500-m height and is surrounded by forests, vineyards and olive groves.there are numerous beautiful footpaths arround for your daily walks. 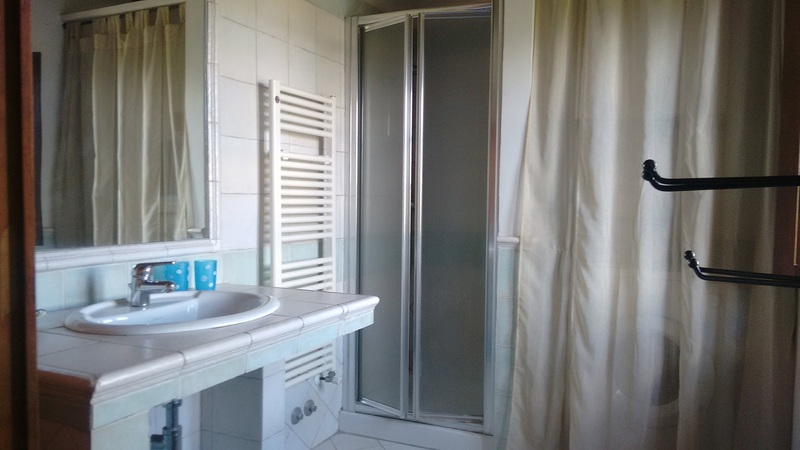 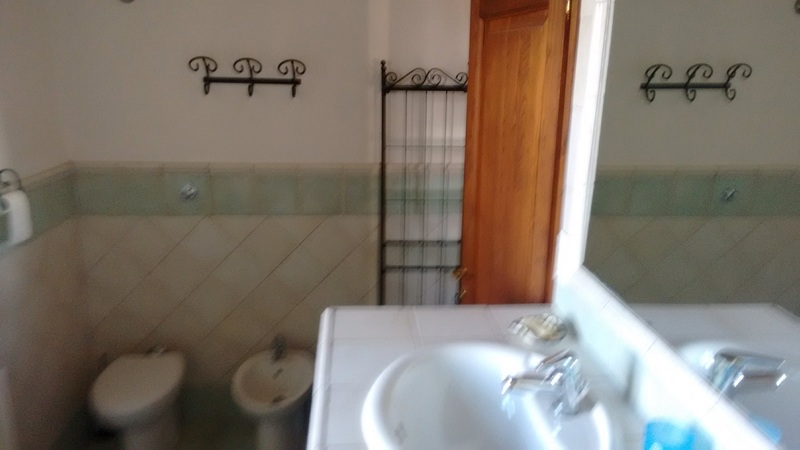 composed by 4 bedrooms, kitchen, living room, 2 bathrooms and 2 toilets on 3 levels. 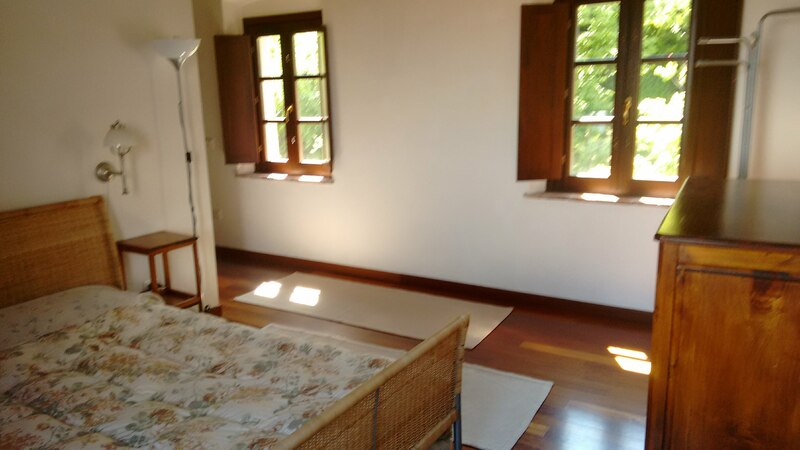 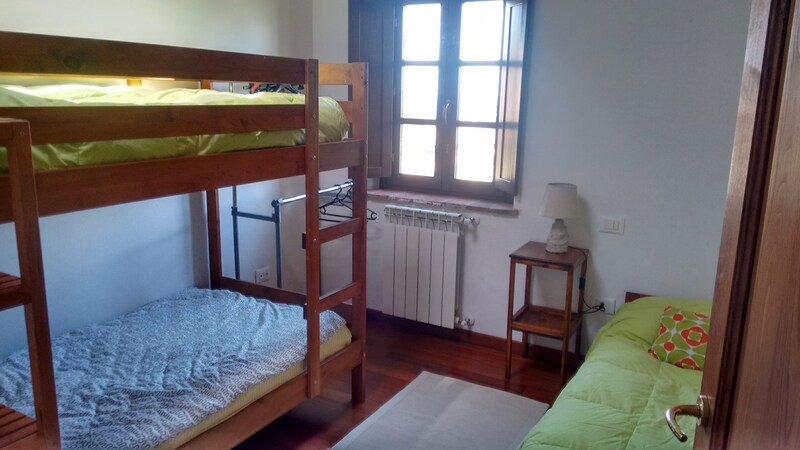 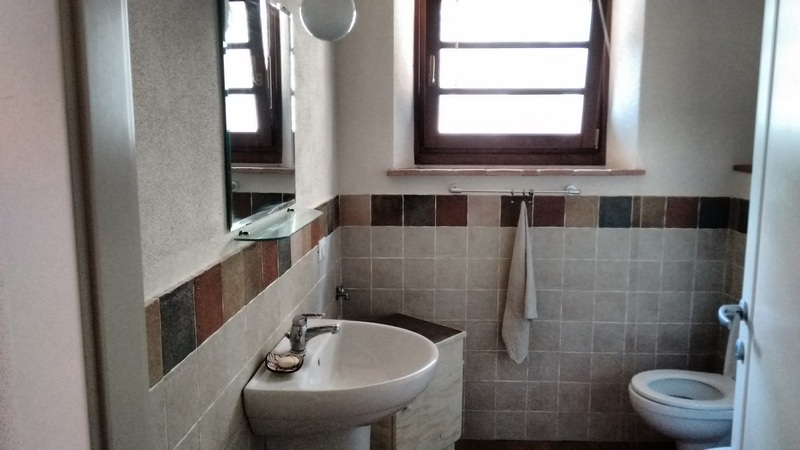 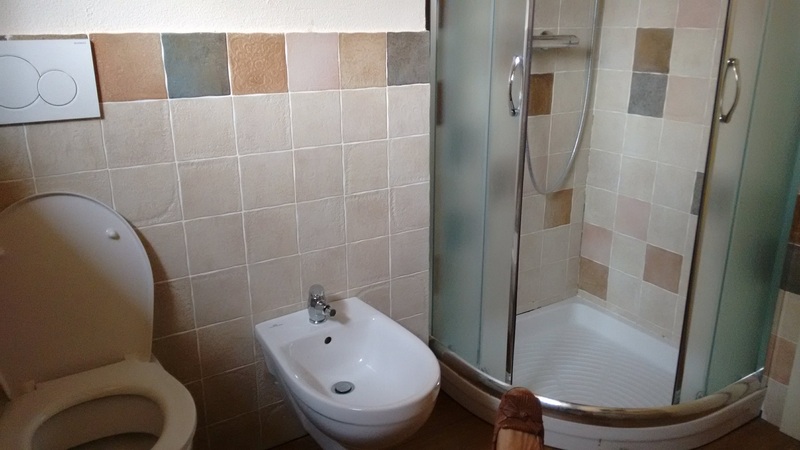 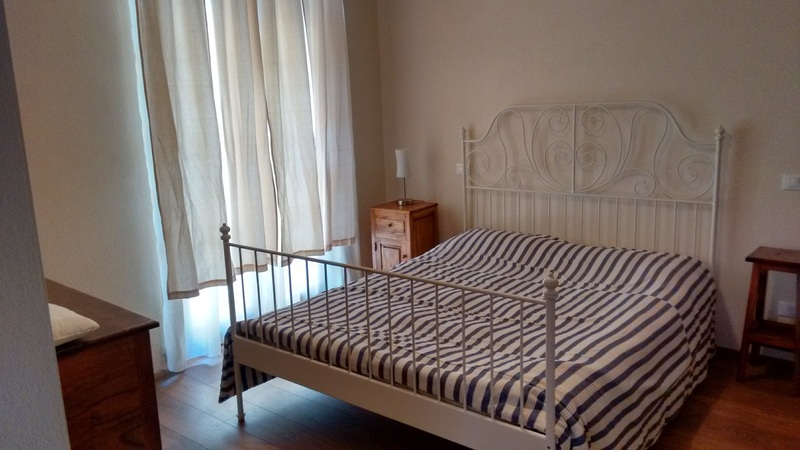 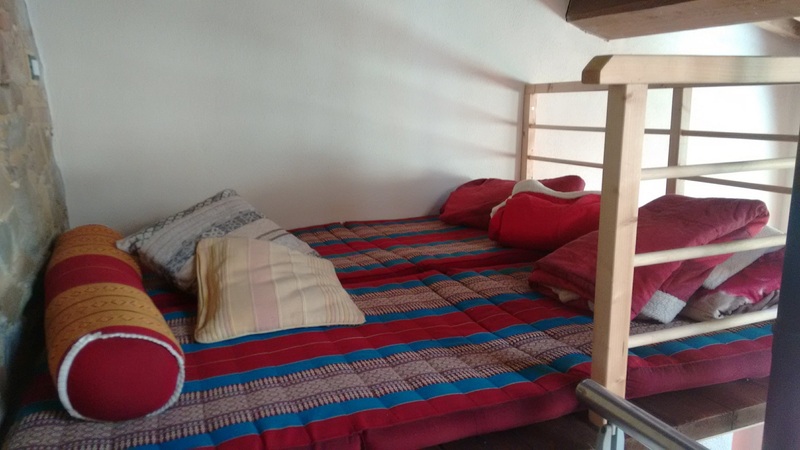 In the groundfloor there is a living rooom, a toilet ad a very well equipped kitchen with, Dishwasher coffeemachine, oven and fridge, Upstairs there are 2 double bedrooms ( one with a childrenbed of 1,6m ) and one bedroom with a bunkbed and a single bed for children, a big bathroom with shower, toilet and bidet. 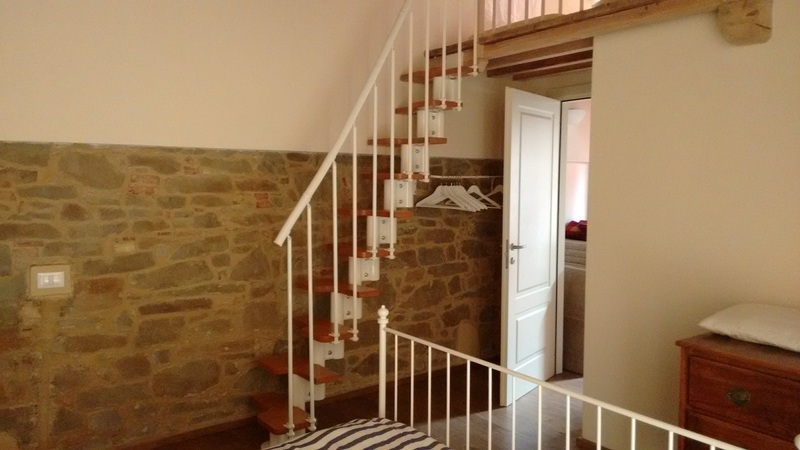 From the kitchen some stairs lead to the lower groundlevel, to wich you acceed also from the street. 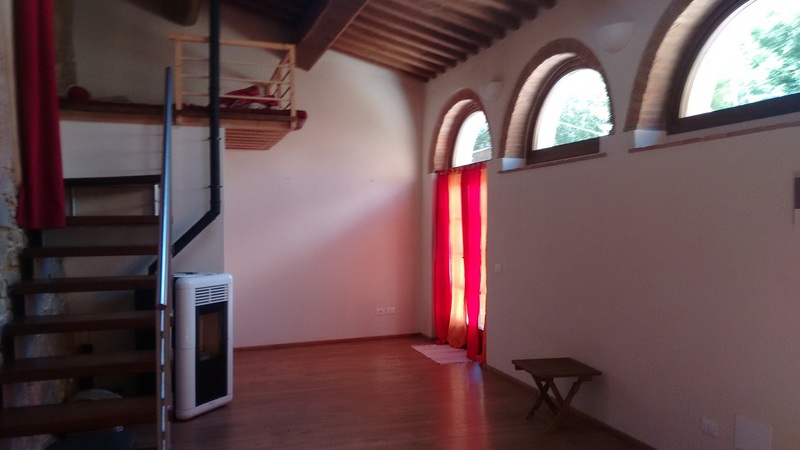 There is a big open space with tatamis wich can be used as living room, for group activities, Yoga or for the children to play or sleep in. 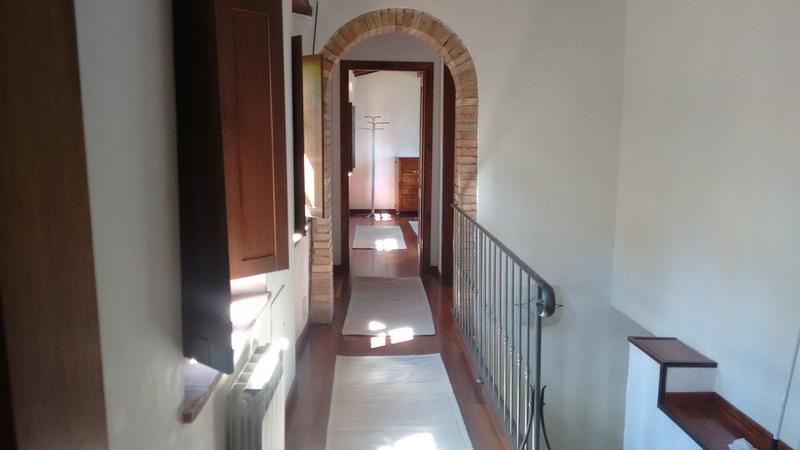 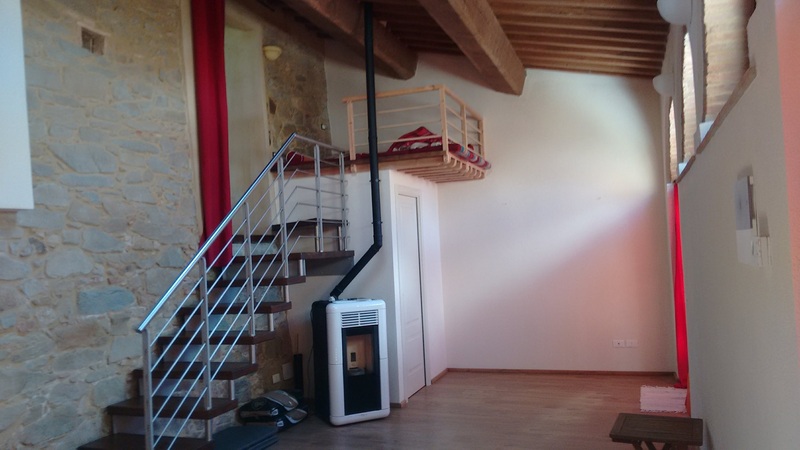 It has beautiful arches a toilet and a beatiful loft , it gives access to a double bedroom with bathroom (shower, toilet and bidet). 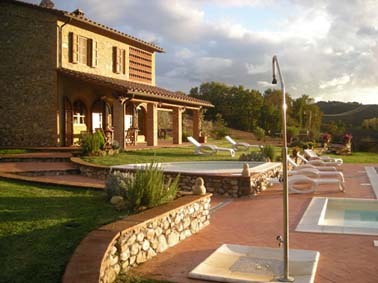 In Casciana Terme, the nearby health resort (approx. 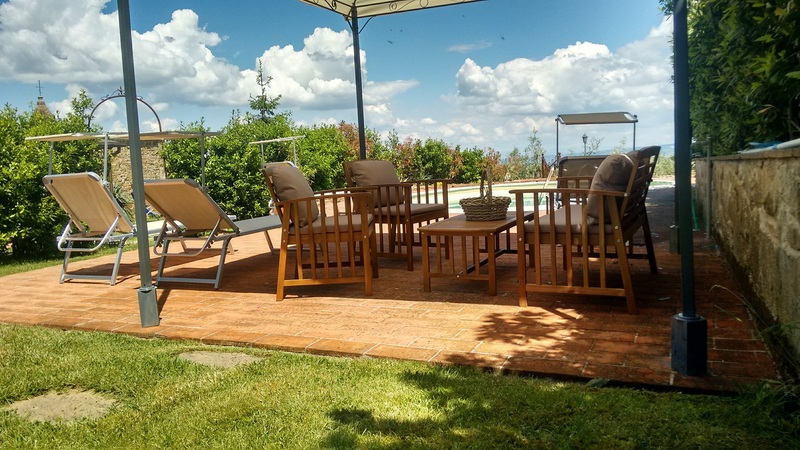 4 kms) you find a very beautifully located swimming-pool, all important services ( post, bank) , cafés, restaurants and shopping possibilities and a beautiful spa area. 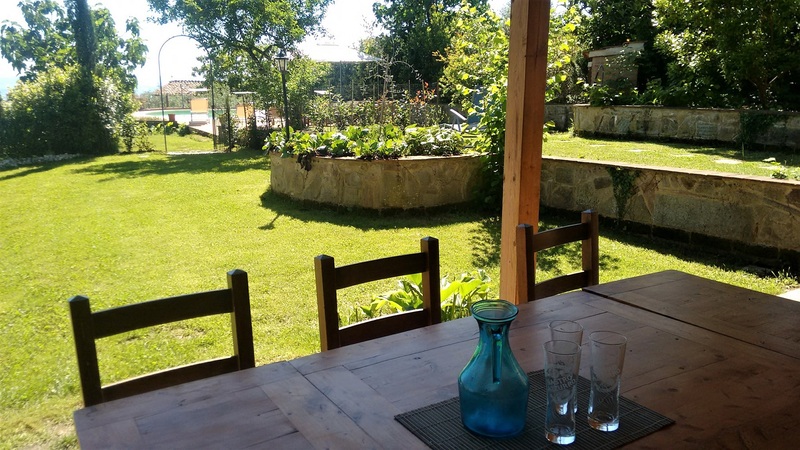 A Wifi Internet connection is available inside the house and the garden too.